On-screen keyboards have gotten a lot better in recent years, but sometimes you just want real keys. The LG Rolly Wireless Keyboard can pair with your Android device over Bluetooth, and it folds up into a little tube for easy transport. It's on sale via Best Buy today only for $79.99. That's $40 cheaper than the Amazon price. This is a 48-key keyboard with chiclet keys and a built-in phone/tablet stand. The layout looks kind of bizarre to me, but I'm admittedly a keyboard snob. 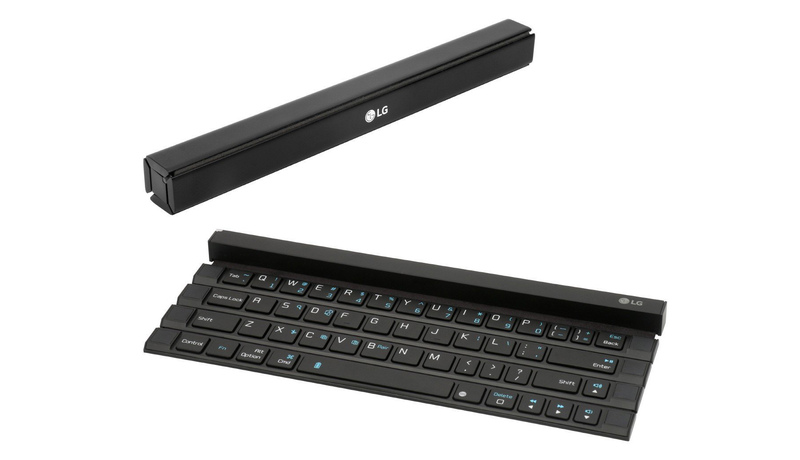 The LG Rolly Keyboard connects to your device over Blueooth and is powered by a single AAA battery. It's just a Bluetooth HID, so it ought to work with anything packing a Bluetooth radio. Best Buy offers free shipping on this item, and some stores even have it in stock. Check the site for specifics in your area.